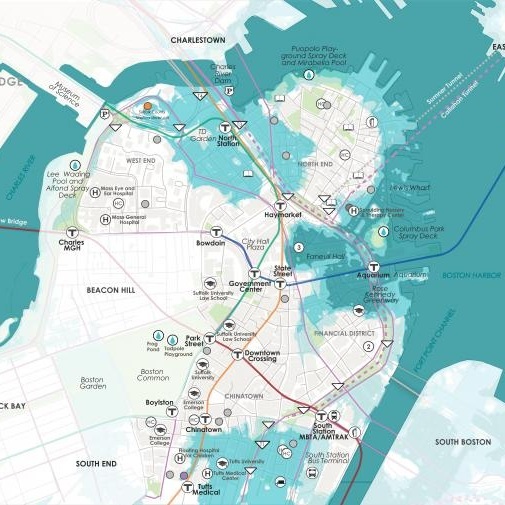 Stoss will lead a team that includes ONE Architecture and Urbanism, Kleinfelder, Arcadis and the Woods Hole Group in the development of near-term and long-term coastal resilience strategies protecting Downtown and the North End from coastal flooding. The project will run through summer 2019, to get updates and learn more about the project visit the City of Boston website. Join us for the Charlestown Lower Mystic open house event on June 14th. We will share designs ideas from Climate Ready Boston and want to hear what kind of waterfront access, open spaces and walking/biking improvements you want to see in your neighborhood. Join us for drinks, snacks and lively conversation dockside! To RSVP or learn more, visit MyRWA. 5.4.2018 Eda U. Gerstacker Grove wins Merit Award in 2018 BSLA Awards! Stoss proudly announces that our Eda U. Gerstacker Grove project has won a Merit Award in the 2018 BSLA Awards! Congratulations to the project team! The Chouteau Greenway Design Competition partners and jury announced today that the team led by Stoss Landscape Urbanism has won the international competition to design a new greenway to connect St. Louis's Forest Park and Gateway Arch. The competition was conducted by Great Rivers Greenway and joined by partners in a unique public-private partnership that aims to transform St. Louis. The Chouteau Greenway builds on all of what makes St. Louis great, and re-imagines it as a place connected by opportunity, access, and a diversity of shared experiences. The greenway opens new chances for discovery, enchantment, and appreciation through the lens of movement. Together with our team, we are excited to be a part of this defining moment and to contribute to the city's renaissance. The Loop + The Stitch embodies our intention to promote connection, prosperity, inclusion, reconciliation, innovation, and joy. The Loop links the civic and spectacular icons and histories of the central city, connecting Washington University and Forest Park to downtown St. Louis and the Gateway Arch. The Stitch links neighbors to neighbors and the visitor to the everyday authenticity of St. Louis. Together, the greenway routes build on a set of "social common denominators" (food, water, public space, stories, currency, etc.) that are shared by all despite socio-cultural and socio-economic differences. In all these ways the Chouteau Greenway inscribes itself into the whole of the city, creating new opportunity through economic development and job creation and connecting assets, opportunities, neighborhoods, and people across its rich and diverse fabric. The Stoss team is led by Boston- and Los Angeles-based Stoss Landscape Urbanism and includes Urban Planning for the American City, ALTA, Marlon Blackwell Architects, Damon Davis, De Nichols, Mallory Nezam, David Mason and Associates, HR&A, Amanda Williams, Lochmueller, and Diversity Awareness Partnership. 4.11.2018 Stoss ‘Coastal Resilience Solutions for East Boston and Charlestown’ wins WLA Award of Excellence! We are pleased to announce that "Coastal Resilience Solutions for East Boston and Charlestown" has received the Award of Excellence in the 2018 WLA Awards. We would like to thank our long list of collaborators and stakeholders in the project. To learn more about this project, we invite you to read the full report from the City of Boston. 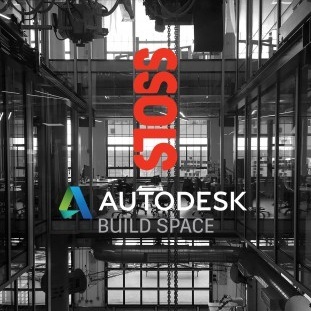 We are excited to announce our residency at the Autodesk BUILD Space in Boston! The Autodesk BUILD Space (BUilding, Innovation, Learning and Design) is a collaborative research & development workshop for the future of building. The Stoss team will be exploring and researching unique material applications and fabrication techniques — culminating in the creation of our newest installation "YOU ARE HERE" More updates and news to come! Follow @buildspc @autodesk and follow Stoss @stosslu for updates! The Harvard Graduate School of Design African American Student Union will be hosting the second Black in Design conference. Events will begin this Friday, October 6th at 4:30pm at continue through Sunday. 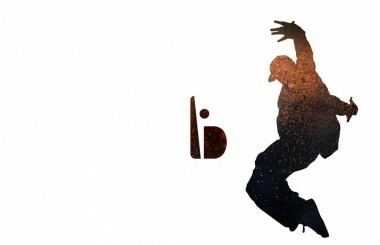 For more information and to purchase tickets, visit blackindesign.org. In addition, Stoss is thrilled to have the opportunity to be a part of the workshops on Sunday, October 8th. Senior Landscape Designer and community engagement lead for the Pittsburgh Uptown EcoInnovation District, Alex Marchinski, will be a leading a group of attendees in a discussion of the project, presenting the project's goals and our process, and listening to feedback as we learn from others how the discipline can create more equitable and just for city's across the country. Stoss is hosting the 2017 Boston Society of Landscape Architects Annual Open House on Thursday, October 5th. Please join us as professionals, students, members, and non-members add their voice to landscape architecture in the Commonwealth and help shape the BSLA agenda for 2018 and beyond. The informal, festive event is also a great opportunity to reconnect with old friends and meet new ones. 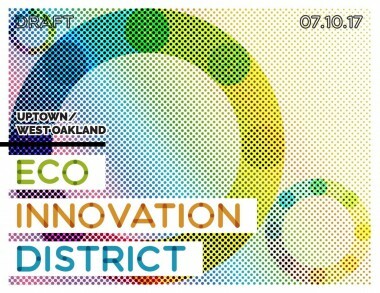 The Pittsburgh Uptown/West Oakland EcoInnovation District Draft Plan was released on earlier this month on July 10. The plan was led by Philadelphia-based planners and long-time collaborators Interface Studio. Stoss joined an interdisciplinary team of consultants, including Sam Schwartz Engineering, Sci-Tek Consultants, Mondre Energy, Duane Morris Government Strategies, Ninigret Partners, and Tactile Design Group. We're very proud to have been a part of such a wonderful team on this important project for the community of Uptown and the City of Pittsburgh. You can learn more about the project and read the Draft Plan on the official website of the Pittsburgh EcoInnovation District. Join Stoss Studio Director Katherine Harvey and NAC Senior Associate Janica Ley Baker as they lead a panel discussion exploring the potential of LA's Public Lands. Hosted by friends and collaborators, NAC Architecture in Los Angeles. No RSVP required. Join us! In May 2016, the Association for Women in Architecture Foundation awarded its first Professional Development Fellowship to Katherine Harvey and Janica Ley Baker. Since then, Kate and Janica have explored the potential of Los Angeles Unified School District play yards to address the effects of climate and urbanization while providing new learning environments and enhancing access to public green space. This research looks into the regional potential of 1200 play yards owned by the Los Angeles Unified School District. As one of the largest land owners in the county, this work suggests the district-wide impact of addressing regional dynamics of cyclical drought, effects of urbanization: impermeability, heat island effects, and loss of native species diversity. The work attempts to unveil an alternative future, aggregated from the micro-scale of the singular public school campus and put into focus the collective impact of all these campus sites. It strategically considers their respective landscapes in terms of educational enrichment, ecological services, and public health benefits. Proposed solutions are at once strategic, measured, playful, and optimistic about our region and the role of public lands in its future. The mappings identify the LAUSD boundary and the intertwined relationship that the school sites have with both systems of reserved and flowing water, open space, biodiversity banks, carbon sinks and energy infrastructure. A sub-watershed of the Tujunga Wash was selected as case study, dissecting the potential of the schools within the watershed in relation to a series of linear infrastructures: the Tujunga Central Branch, an LADWP Right of Way, a rail corridor, and a series of water wells. The model represents an educational and outreach tool developed to facilitate discussion about how planning and design might break down the barriers to considering individual school sites in relation to regional infrastructures: wildlife corridors, greenways, waterways and the connective network between campuses. Chris Reed will be at the Parrish Art Museum in conjunction with the museum's weekend symposium, Landscape Pleasures. Chris will join Alex Matthiessen president of eco-political consulting firm, Blue Marble Project, for a conversation on landscape architecture, aesthetics, and the environment. The conversation will address how architects, landscape designers, creatives, and community representatives can work together in a more holistic context to implement low-impact and regenerative projects. Cal Poly Pomona Landscape Architecture will be hosting Chris Reed at the Los Angeles Cleantech Incubator in Downtown Los Angeles Wednesday, February 8th at 7pm. 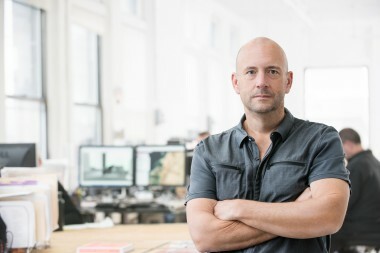 Stoss is excited to announce that Chris Reed has been promoted to Professor in Practice of Landscape Architecture at the Harvard Graduate School of Design. Additionally, he was appointed Co-Director of the Master of Landscape Architecture in Urban Design Degree Program at the beginning of the academic year. Chris has served as Associate Professor in Practice at the GSD since 2010. Prior to the GSD, he held academic teaching positions at the University of Pennsylvania and the University of Toronto, and has been Visiting Professor at many schools across the US. He has led Stoss since founding it in 2000 and continues to grow the firm with studios in Boston and Los Angeles. Please join all of us at Stoss in congratulating Chris on his promotion. Chris Reed has been named the Mercedes T. Bass Landscape Architect in Residence at the American Academy in Rome for Spring 2017. 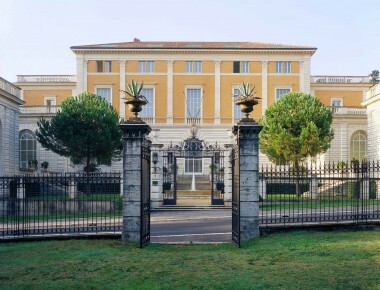 The Mercedes T. Bass Landscape Architect in Residence is one of the American Academy in Rome's prestigious fellowships and residencies that gather select groups of artists, practitioners, and scholars to pursue their work in an atmosphere conducive to intellectual exchange and innovation. Chris will join the Academy from April 3 – May 1, 2017. Chris Reed joins economist and collaborator Teresa Lynch of Mass Economics on Thursday, December 1 at the Lincoln Institute of Land Policy in Cambridge, Massachusetts to discuss the practical challenges created by existing land utilization regimes, as well as project experiences with far-sighted urban stakeholders who are experimenting with ways to transform vacant and underutilized land into an asset that can support economic growth, social equity, and environmental health. 11.21.2016 First Look at "Nature and Cities"
Join Stoss as we celebrate the publication of Nature and Cities: The Ecological Imperative in Urban Design and Planning. 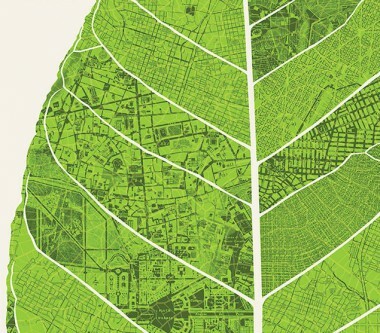 Co-edited by Fritz Steiner, George Thompson, and Armando Carbonell with essays by Chris Reed, and other Harvard faculty, including Charles Waldheim, and Susannah Drake, Nature and Cities features leading international landscape architects, architects, city planners, and urban designers exploring the economic, environmental, and public health benefits of integrating nature more fully into cities. Chris Reed will be joining an expert panel of architects and landscape architects Friday, November 11th at 5:30pm at the Center for Architecture Sarasota to discuss a range of design strategies for Sarasota's Bayfront. For more information, visit the event page. Stoss is joining the thousands of other landscape architecture professionals and students in New Orleans for the 2016 ASLA Annual Meeting and Expo. Chris Reed, Amy Whitesides, and Tim Wilson will all be on the ground over the course of the weekend. Join them for three educational sessions on contemporary practice. The Landscape Architecture Foundation and PennDesign have released a new documentary exploring the future of landscape architecture. Watch now or visit the Landscape Architecture Foundation Summit on Landscape Architecture and the Future for more information. On June 10-11, 2016, the Landscape Architecture Foundation (LAF) convened a diverse group of preeminent and emerging leaders for The New Landscape Declaration: A Summit on Landscape Architecture and the Future. Inspired by LAF's 1966 Declaration of Concern, the Summit featured 25 "Declarations" from key thought leaders and nine thematic panels, taking a hard look at whether the landscape architecture profession has fulfilled its promise and how effect change looking toward the future. Through interview footage and clips from the Summit, this documentary highlights key themes from this critical, provocative, and inspirational examination of the role of landscape architecture in addressing the challenges our our time and the next 50 years. The Landscape Architecture Foundation and PennDesign have released video of this summer's LAF Summit panel on aesthetics, featuring Chris Reed, Claude Cormier, Maria Goula, Mikyoung Kim, and Ken Smith. The panel was part of a 50 year revisiting of Ian McHarg's Landscape Declaration, convening a diverse group of preeminent and emerging leaders for The New Landscape Declaration. Chris Reed will be the speaking as part of this year's Isabella Stewart Gardner Museum Landscape Lectures series, kicking-off this year's group of international designers. Stoss is excited to announce the expansion of its internationally awarded practice with the formation of a new studio in Los Angeles, an exciting new endeavor in southern California led by Chris Reed and Studio Director, Katherine Harvey. Kate joins Stoss after 15 years of practice, including nearly 10 years in southern California. She joins an expanded leadership team of Amy Whitesides, Tim Wilson, and Scott Mitchell in Boston who, together with Founding Director Chris Reed, have led Stoss throughout its history in various roles. Their combined experience includes work on multiple continents, and at multiple scales, for cities, public agencies, institutions, and private interests. Stoss continues to believe in the productive role of landscape in the making and re-making of cities and social spaces and will now carry this work forward from both sides of the North American continent. Stoss was recently featured in the LA Times with an imaginative vision for the 2 Freeway spur, including a fantastical proposal for an elevated park and innovative ideas for renewing LA's heroic infrastructure. The Los Angeles office is already busy at work on mixed-use and residential developments in Culver City and West Hollywood, as well as a couple of institutional projects in Los Angeles. Stoss has been awarded the landscape design services contract for two parks in eastern Cambridge near Kendall Square—Binney Street Park, located between Binney Street, Galileo Galilei Way, Broadway, and the grand Junction railway corridor, and Triangle Park, located between Binney Street, Land Boulevard, and First Street. The first public engagement meeting for the concept design of both parks will be at the Kennedy Longfellow School on June 16, 2016 at 6:00pm. For more information, please visit www.cambridgema.gov/kendallopenspace. Stoss is pleased to announce our team has moved into a new office on Old Colony Avenue in South Boston. As we celebrate 15 years, we are excited by this new opportunity to grow. 15 years ago we began with a question and a research project. The question was how landscape might play a more formative role in reimagining cities. The research project looked at how we might step outside traditional roles of designers in the public works projects of yesterday, and tomorrow. Today we celebrate the work those investigations spawned, in more than 30 cities and 8 countries, with an array of talented collaborators. And we celebrate how lucky we have been, to be recognized for this work by the Cooper Hewitt National Design Awards, the American Society of Landscape Architects, Progressive Architecture, Topos, the Waterfront Center, AZURE Magazine, the Boston Society of Architects, and others. Celebrate with us, as we share some of our favorite projects, from our earliest work to our newest ambitions. And thanks for being part of it! 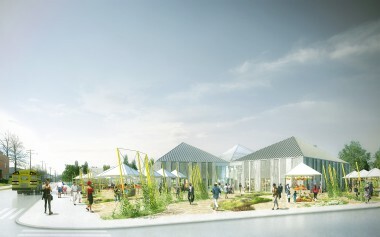 The Van Alen Institute with the New Orleans Redevelopment Authority has announced the winners of the Future Ground competition, inviting multidisciplinary teams to generate flexible design and policy strategies to reuse vacant land in New Orleans. Team Stoss has been selected as one of three winners, contributing to the Six Key Strategies for Vacant Land in the Future City. Led by Stoss, with Teresa Lynch of MassEconomics, Jonathan Tate of OJT, Liz Ogbu, Ann Yoachim, Jill Desimini, Mike Brady, Byron Stigge, and Kate Kennen, the team developed proposals for unlocking the economic value of vacant land through job-creating land use strategies on aggregated and assembled lots. Learn more about Stoss's proposals here or download the full presentation. 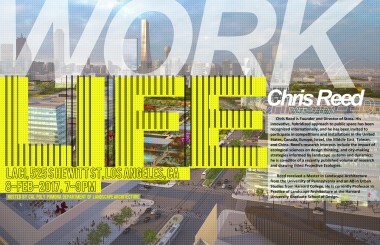 Chris Reed will be presenting WORK-LIFE, a guest lecture at the USC School of Architecture. Join Chris for a presentation of our interests and research in projects from Lousiville, Michigan, Harvard, and elsewhere. 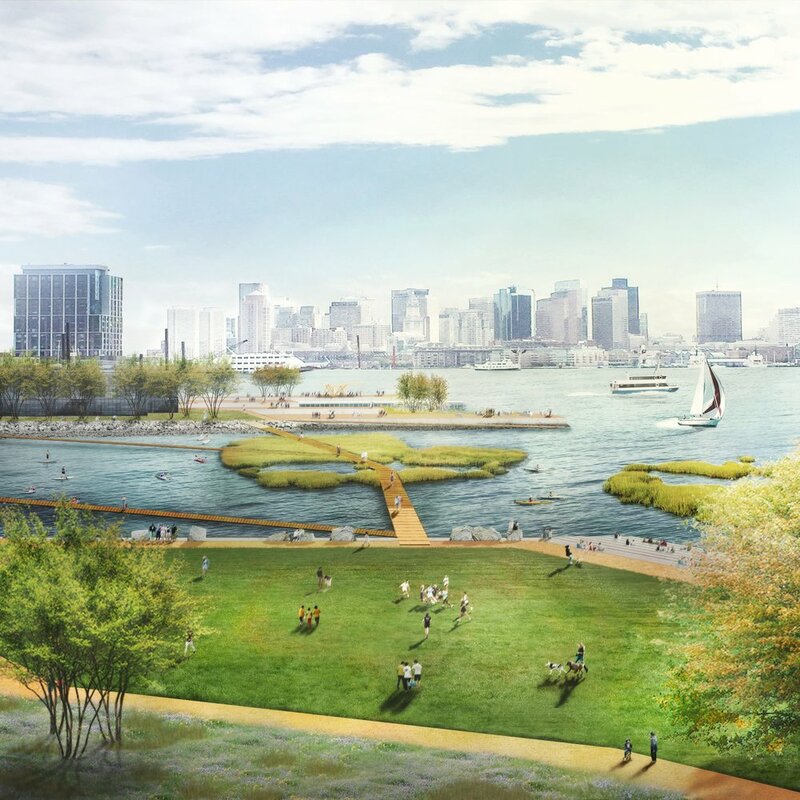 March 27, 2019 MOAKLEY PARK POISED TO BE GOLD STANDARD IN CLIMATE RESILIENT WATERFRONT PARKS.